Last week, I opened my mail and there was my first recipe request. 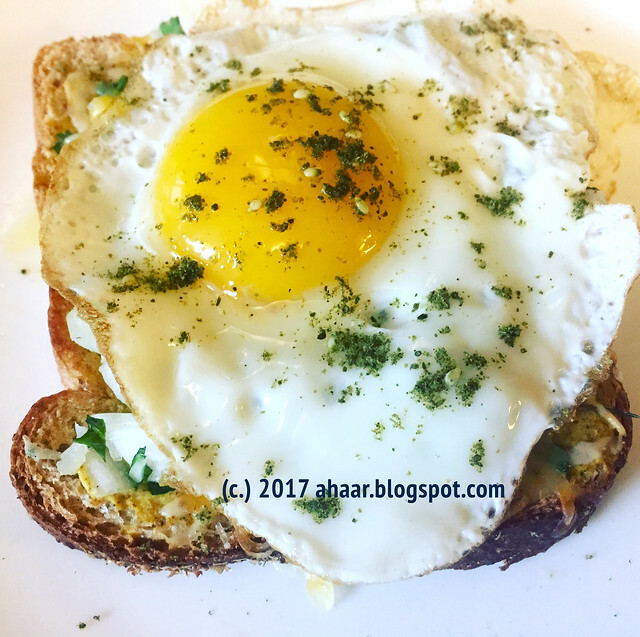 Preeti, my friend in Germany, wanted me to post shukto recipe. 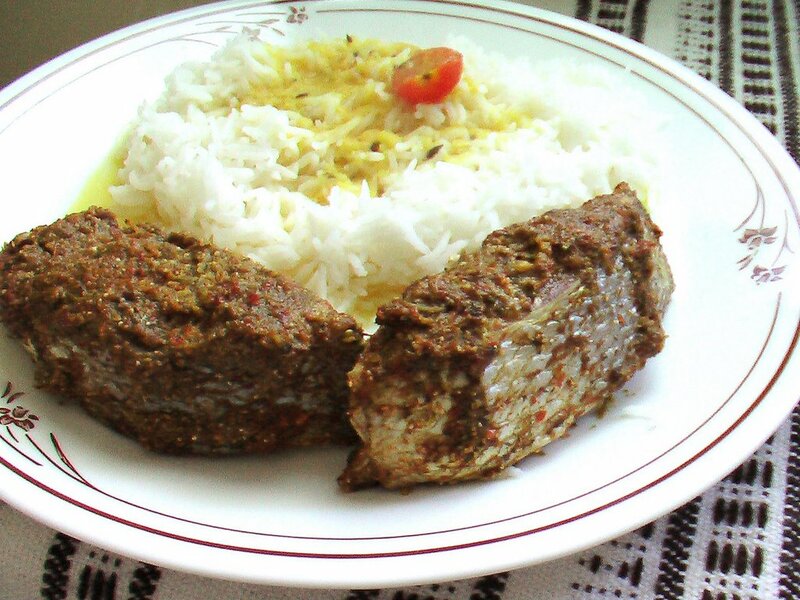 Shukto is a traditional Bengali dish, usually eaten as a first course. I think it is the perfect dish encapsulating all tastes described in ayurveda. 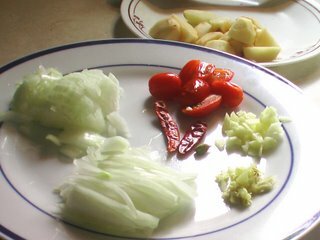 What gives it its unique taste is the medley of vegetables cooked together. 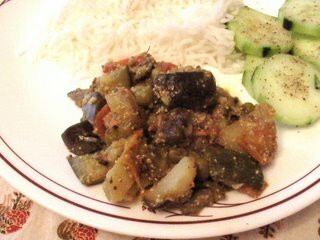 It always has bittergourd, eggplant, plantain and then you can add the seasonal vegetables. My own relationship with this dish has changed over the years. I remember not liking it when I was a child, but my taste changed as I grew up. Saute the bittergourd, eggplant and potatoes separately. 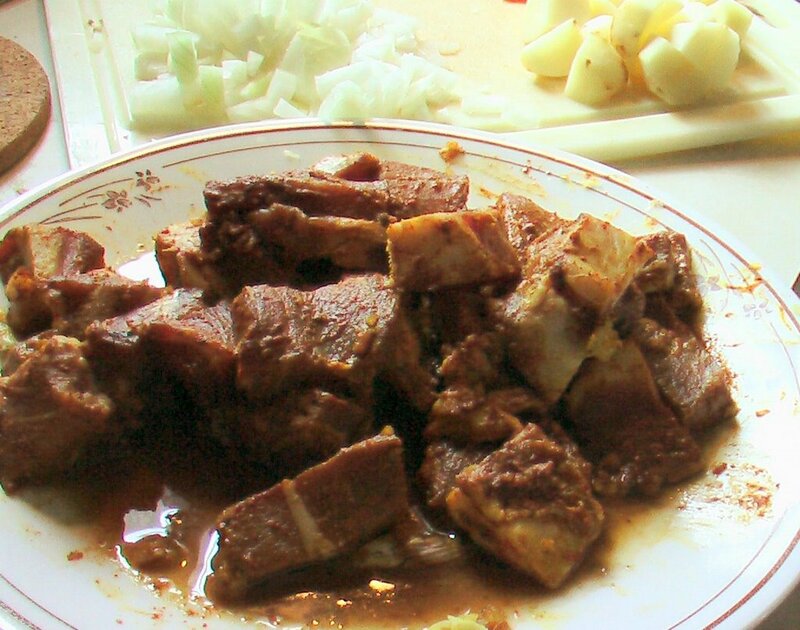 Soak the posto and 1/2 tspoon mustard in warm water for an hour. After draining it, make a paste of posto, mustard and ginger. Heat oil in a pan, temper it with mustard seeds and green chillis. Add in the vegetables one by one. Mix it all together, close the lid and let it steam. After about 10 minutes, add half of the paste, turmeric and salt. Add 1/4 cup water if it is too dry. Cook on medium low flame for another 10-15 minutes. Add the rest of the paste, sugar and milk and let it cook for 5 minutes. I was strolling at the farmer's market when I saw a sign 'organic lamb meat available'. Curious, as I don't eat or cook lamb often, I walked towards the van. I found out that it was a treat that they share once in 6-8 weeks. I immediately bought the last piece available - lamb shoulder. 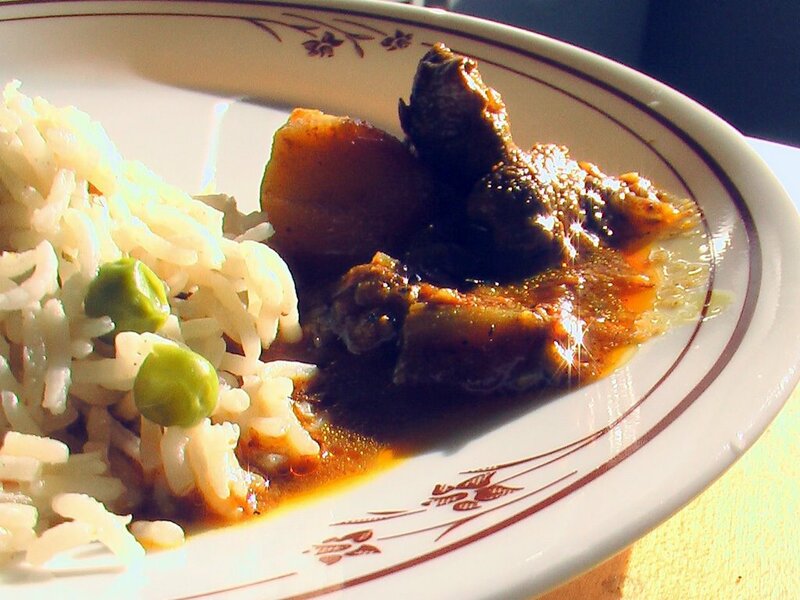 I made lamb curry with it and went really well with pea pulao (will post recipe soon). Marinade the lamb pieces and leave it in the fridge for atleast 2-3 hours. Saute the potatoes and keep it aside on a kitchen towel to soak excess oil. 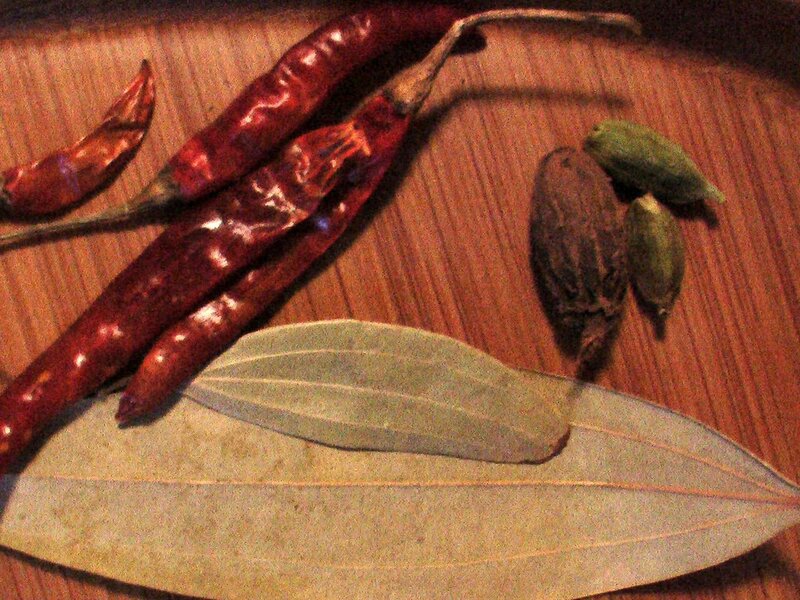 Heat oil and temper with bay leaf, red chillies, green and black cardamom and cloves. When the pods and cloves swell add the fennel and cumin seeds along with green chillis, ginger and garlic. Keep stirring. Add the onions. When they start turning brown, add the potatoes and the lamb. 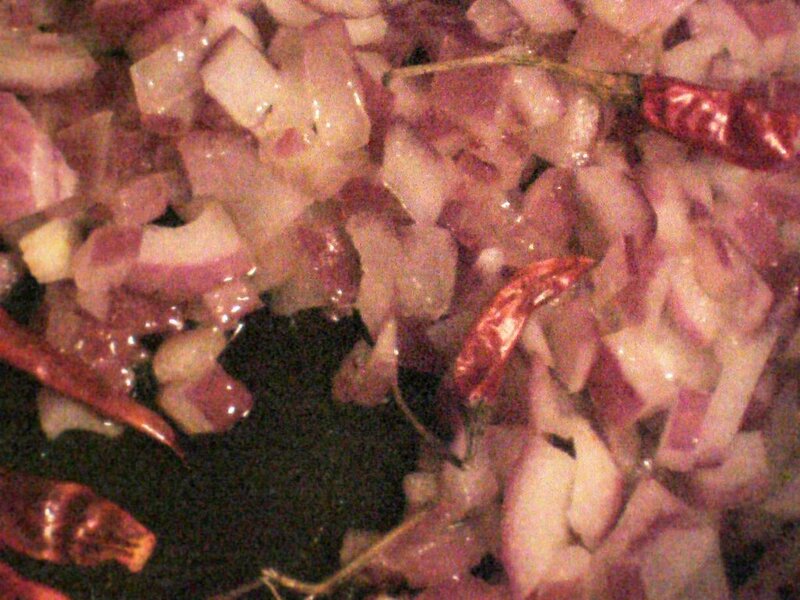 Take all the masalas in a bowl, add a little bit of water to make a paste and add it in. Add in water and let it cook for another 15-20 minutes. Lower the flame and add the beaten yogurt. You don't want the yogurt to break into small fragments and stick to the corner. 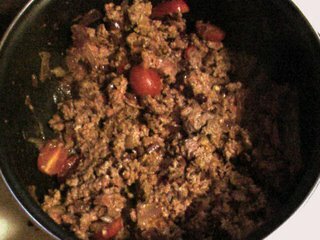 Mix it well for sometime and let it cook on low heat for another 20-25 minutes. Serve it hot with rice/pulao or chapattis or naan. Since it was a special dish, I wanted to share it. I called a few friends and it became an impromptu party. We had blue drink by Amrita (I forget the name), sumptuous salad from Niharika and donuts from Swati & Ruhani. More than that, they made me feel very, very special. This is also my this week's entry for 'Curry Mela' at Anthony's Kitchen. 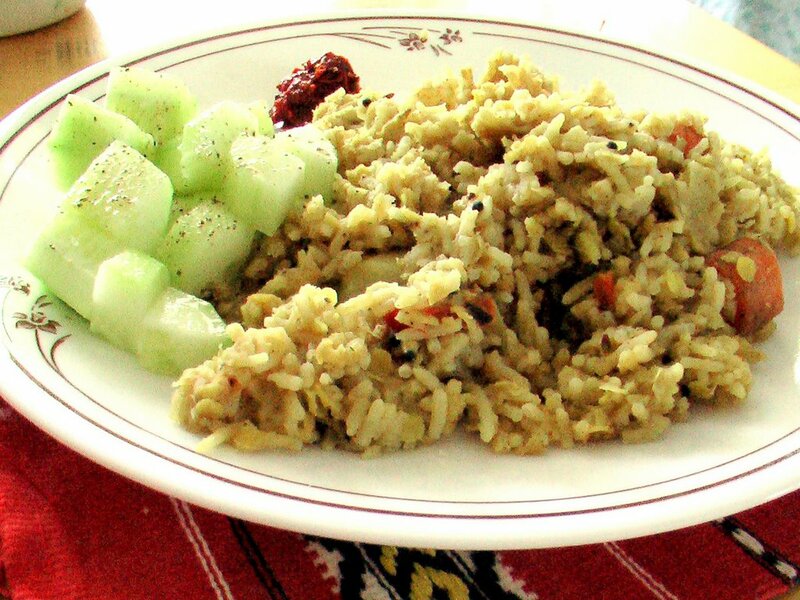 I made khichudi (khichdi)- another simple, hearty meal recently. Except it was turned out drier than what I usually make. I remember it from rainy days when my dad would request it. We'll eat it hot with variety of vegetable fries or fish fry or eggs. If you are using Moong dal, roast it in a dry vessel. 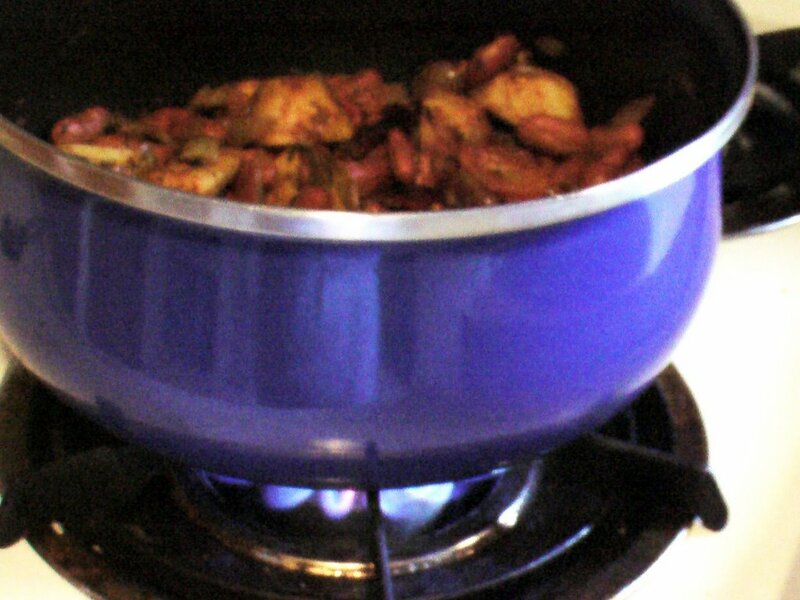 It gives a nice aroma to the khichudi. Saute the carrots and potatoes. Keep it aside. Heat oil and temper with asafoetida, cumin seeds, bayleaf, cardamom. Next, put in the chillis, ginger and then the onions. When onions turn translucent, add the tomatoes and the sauted vegetables. Add the rice, dal and the masalas. Mix it well together. Once it starts boiling, add the water. Water should be double the amount of rice and dal and a little more. Let it cook for 20-25 minutes. Keep stirring every 10 minutes to check the rice and dal. 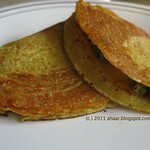 What makes khichudi extra special is if you add 1/2 teaspoon of ghee just before you remove it from the flame. Enjoy it hot with salads, pickle, yogurt or fries. Yeh hain Dilli meri jaan! While browsing some of my favorite blogs, I came across a link for a great essay by William Dalrymple in Amardeep Singh's blog. The essay is about Delhi during the late 19th century, the Last Emperor - Bahadur Shah Zafar and the Sepoy Mutiny of 1857. You can read the essay which is published in the current issue of Outlook India here. To read Amardeep's analysis and comments on the essay, click here. I remember my visit to a cemetary in Old Delhi where several British soldiers, who died in the 1857 mutiny, are buried. It was a hot summer afternoon and I spent it wandering around in the cemetary looking at grave names and wondering how little I knew of the Mutiny. I loved reading William Dalrymple's Delhi:City of Djinns which led me to his other book The White Mughals. I admire his eye for detail and his imaginative and vivid storytelling. I am looking forward to his new book The Last Mughal which comes out sometime this year. I recently had a dessert at a baby shower. It was part ice-cream, part whipped cream with crunchy nuts. 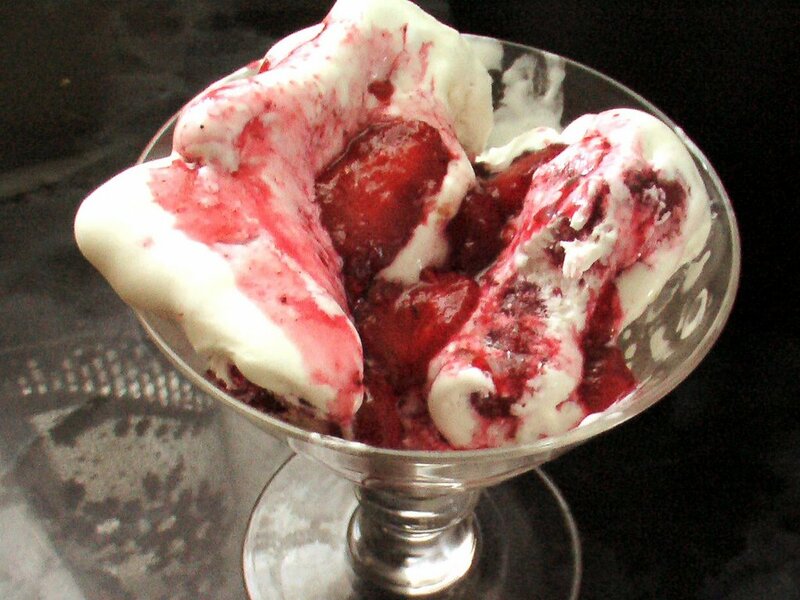 I liked the idea of creating my frozen dessert. I used it as an inspiration and whipped (literally) my own concoction. There are fresh berries in the market so I created a sauce to top the ice-cream dessert. 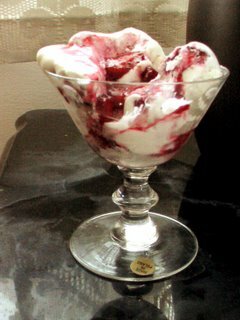 The tartness of the berries goes well with the mild sweetness of the ice-cream. And it is super simple, quick and yet delicious dish. Freeze it in the freezer for atleast 2-3 hours till it sets well. Heat a pan, add sugar, water, honey and cinnamon. When it starts boiling, add the berries and cook it together for 3-4 minutes till the berries are soft but not gooey. Serve the ice-cream in a bowl/dessert plate and top it off with hot berry sauce. Weekends have always been big in our house. My mom was off from her school, my dad would go late to work and we could sleep in. I would always get up and see my mom making something special... masala omelette, poha, uttapam, parathas. Almost instictively we follow the same thing. 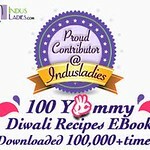 We get up late and make something hearty and filling... idlis, pancakes, and ofcourse masala omelettes. 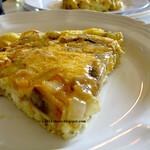 I made it this morning and enjoyed it with a cup of hot chai. Here is the recipe. Break the eggs in a bowl and add the milk, salt and pepper. Mix it together. 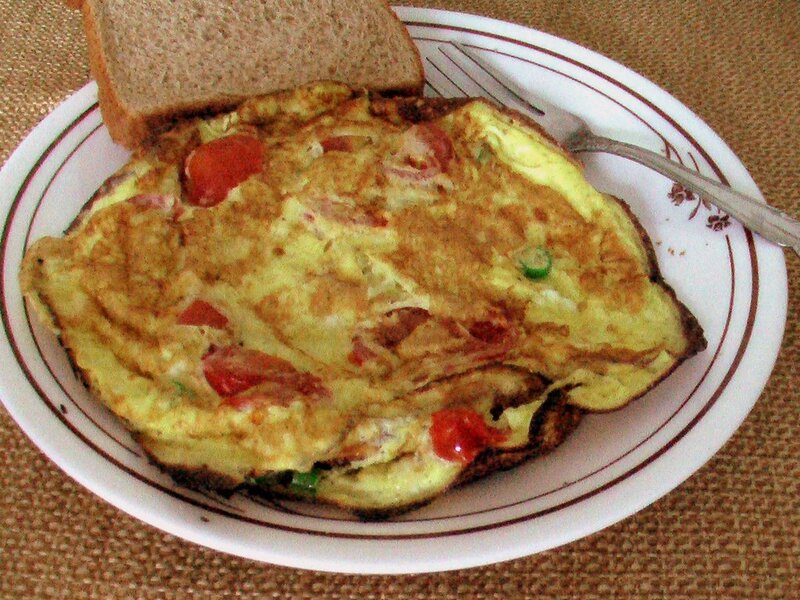 Add the onion, tomato, chilli and cilantro with the eggs and beat it well. Meanwhile heat a pan with oil and add the eggs. Cook till the egg becomes firm. Flip it and cook till it turns golden brown. Serve it hot with toast, and chai/coffee/orange juice. The last week has been super busy. Somehow summer always turns out this way. So I have been looking for healthy, quick recipes to keep me going. 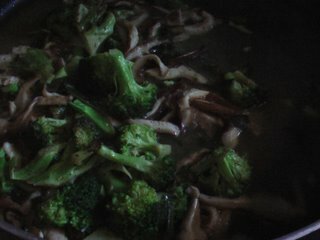 After reading about the goodness of broccoli recently, I wanted to incorporate it in my cooking and am so glad I found a way. This recipe is from my grocery store and originally had asparagus instead of broccoli. Both taste good in this combination. Heat Olive Oil and butter in a skillet. Add shallots and saute until lightly brown. Add mushrooms, broccoli, lemon juice and zest. Cook for 4-5 minutes. Add vegetable broth, salt and pepper and let it simmer for another 5 minutes till it becomes a thick sauce. In the meantime, heat water in a large pot with some salt and olive oil. Cook pasta till it's done. Drain pasta and add it to the sauce. It takes all of 20 minutes and makes a delicious lunch or dinner entree. This is my entry for this week's 'Curry Mela' at Anthony's Kitchen. It's watermelon season. In India, we would stop by a roadside vendor and mom would pick up a big round watermelon. We would cut them into pieces, sprinkle sugar and refrigerate it. We would eat them in the evenings, sitting in cane chairs in freshly watered lawns. I still enjoy cool watermelons on a warm evening from time to time. This time I decided to go beyond just taste and find out more about the fruit. 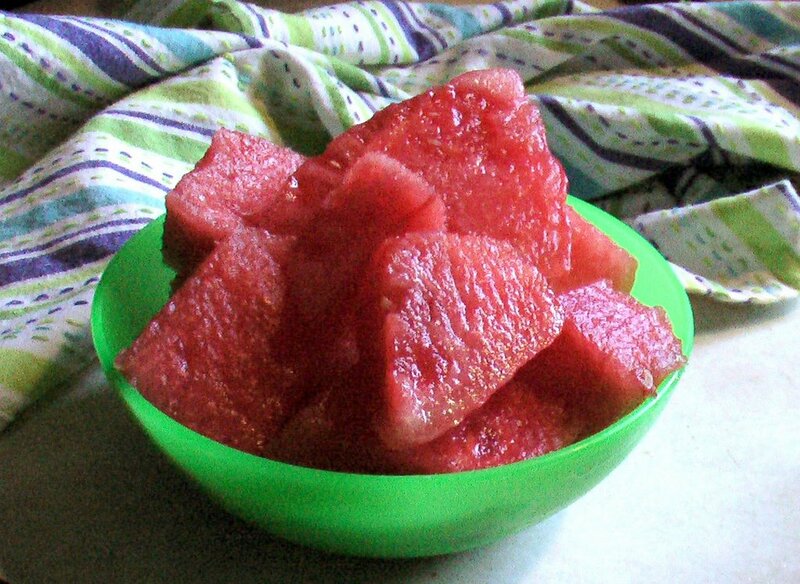 Watermelons originated in Africa. 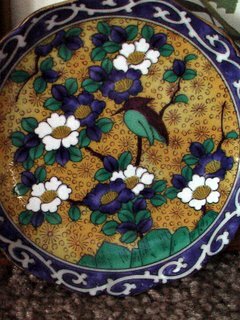 They were brought to China around 10th century and then was shortly introduced to the rest of the New World through trade. Along with the thirst-quenching properties, watermelons are also excellent sources of Vitamin A and Vitamin C. They are also a good source of lycopene (also found in carrots). Watermelon seeds are also edible. We would sun-dry them as kids. It can also be toasted lightly and eaten as a snack. They are also packed with essential oils and are also used for beauty treatments. One thing I really miss about India is the fish. Yes, I am a Bengali if that's what you're thinking! I love my Ilish, Rui, Bhetki, Pompfret, and everything else. When I came to the US, I was hesitant about cooking fish, unsure about how it will taste, smell and feel. My adventures started slowly after eating fish at other friend's homes first. I started with Shrimps, Tilapia, Catfish and slowly I was begining to experiment myself shedding my inhibitions. So, when my friend U and I saw fresh fish in the market, we grabbed the last two pieces. Thinking of things to make, I decided to bake it. U suggested mint marinade paste and I added the tomatoes. The result was delicious. Mix the fish with salt, turmeric and lemon juice. Keep it aside for 15 minutes. In the meantime, grind all the ingredients to a rough paste. Mix the marinade paste well with the fish and let it sit for atleast a couple of hours. Heat the oven to 350 F. Bake the fish for 20-25 minutes. Serve it hot. My favorite combination is rice, dal and fish. My association with Rajma-Chawal goes way back- all the way back to boarding school. I still remember, we would get Rajma-chawal, Lemon pickle and Gulab Jamun for most Thursday dinners. Yum, now who can beat that combination. Put the Kidney beans in big sieve and wash to take away the extra salt and preservatives. In the meantime, fry the potatoes till they are slightly crisp. This takes away the raw taste of the potatoes. Put them on a kitchen towel to soak the excess oil. Heat the rest of the oil and toast cumin seeds, red chillis and green cardamom. Next, put in the ginger, garlic and saute. Add the onions and fry till they turn translucent. 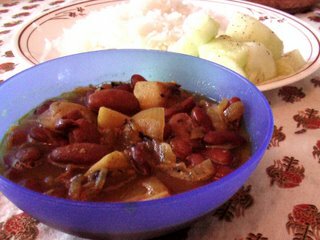 Add tomatoes, potatoes and kidney beans. Mix the powder masalas together in a bowl and add. Stiry fry till it all mixes together. Add about 1/2 cup water and close the lid. Let it cook for about 5-6 minutes on medium. Add salt and let it cook for another 4-5 minutes. Garnish it with fresh cilantro. Or stir-in half-a teaspoon of ghee. 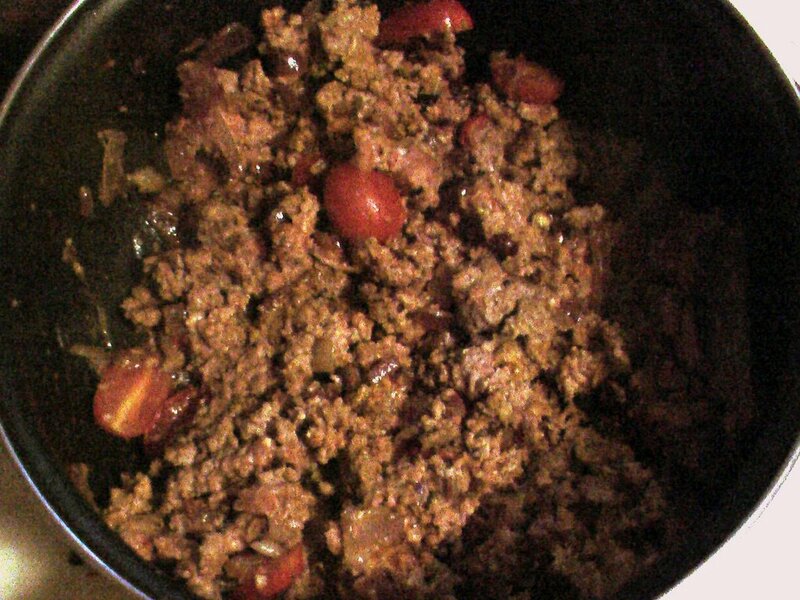 Serve it hot with salad and rice. I recently went to an annual rummage sale at a local church. And like I do everytime, I didn't buy anything I was looking for. Instead, came back with things I found and liked at the sale. 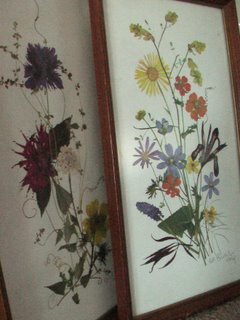 My favorites are a couple of old original paintings I got for .75 cents and a hand-painted 'Kutani' tea-bag plate for .25 cents. My best use of 1 dollar for this year! Ever since I planted seeds in pots on my porch, the first thing I do when I return home everyday is to go and look at the pots. 'Are there new saplings? Does that plant look taller?' I grew cherry tomatoes last year and that has sparked the fire. This year I have planted chillis, carrots, onions and a little tomato plant. As you can imagine, this is very exciting for me. 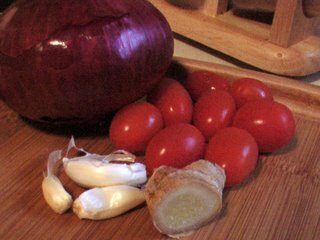 This weekend, I used shallots from my own backyard for cooking. Once I picked them, the challenge was to do something exciting with it. I looked through my fridge and found spinach and a few vegetables. I mixed them together for a regular sabzi, and the result was great. Chop shallots, spinach and vegetables. Heat oil and put in cumin Seeds and chillis. When cumin seeds turn golden, put in garlic and then chopped shallots. After a couple of minutes put mixed vegetables, cumin-coriander powder and turmeric. Cover and let it cook for 4-5 minutes. Add spinach and salt. Cover and cook for another 3-4 minutes or till spinach is limp and dark green. Serve it hot with chapattis or rice. 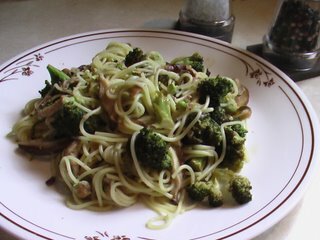 This is one of the first recipes my ex-roommates and I tried in our cooking adventure when we arrived in the US. 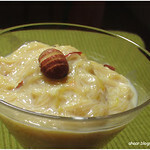 It was Arti's favorite and she would make this (and rajma!) whenever she had guests over. The recipe has stayed with me and I still make it. What can I say, I'm hooked. I have changed it slightly by adding ginger. I do like ginger in the recipe. It adds an extra flavor. Cut potatoes in half lengthwise and make thick slices. Soak them in warm salty water. Cut bell pepper in long thin slices. Heat oil in a skillet, and put in the cumin seeds, red chilli and ginger (in that order). Add the potatoes and the turmeric, chilli and coriander powder. Cover it and let it cook for 7-8 minutes. 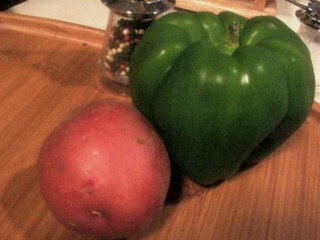 Add in bell pepper pieces. Mix them well with the potatoes. Sprinkle some water just enough to moisten the potatoes. Add salt and let it cook for another 8-10 minutes on medium low heat. Serve it hot with chapattis. I recently had Ghugni at a friend's place. I could smell it even before I entered their house. It brought back so many memories. Funny how smell can take you down the memory-lane. 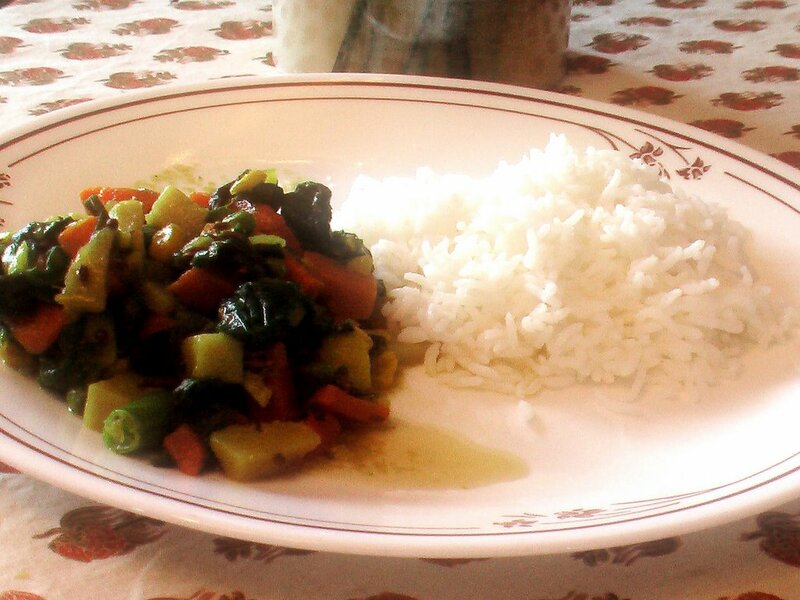 Ghugni is a traditional Bengali dish which can be cooked with or without meat. 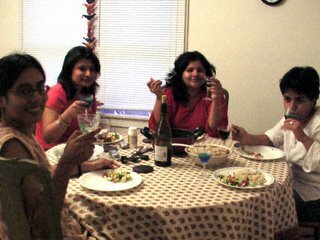 It is generally cooked at our home when we have guests over. In India, it is cooked with goat meat but tastes just as good with ground Turkey. 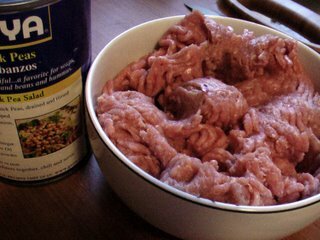 Then, Turkey can also be substituted with chicken, lamb or beef. When I was describing it to my friend over dinner, she said 'it sounds just like chili'. Here goes my mom's recipe for "Bengali Chili" which I have tweaked with tomatoes! Put the Chick-peas in big sieve and wash to take away the extra salt and preservatives. Keep the Turkey in a bowl and mash it with a spoon. Heat oil and toast green and black cardamom. Put in onions, ginger, garlic, red chillies and bay leaves and saute. 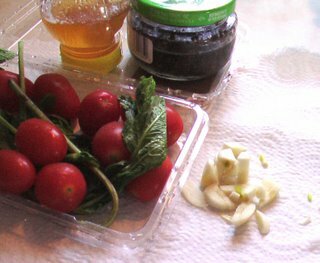 Once the onions turn translucent, put in the tomatoes. When tomatoes turns soft, add in the powder-masala and turkey. Stiry-fry till it all mixes together. Close the lid and let-it cook for 5:00 minutes. You may have to stir it a few times so that the Turkey does not form lumps. 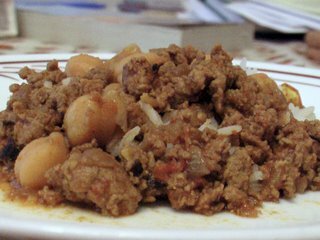 Add in chick-peas, water and salt, and cook it on medium heat for about 7:00 - 10:00 min. After that, let it simmer for another couple of minutes till the excess water disappears leaving a thick gravy . Garnish it with chopped onions and lemon juice. Serve it hot with chappatis, parathas or rice. Memorial Day was hot and humid. After running errands and being out in the sun the entire day, I was in a mood for something refreshing and cool - like a summer breeze. 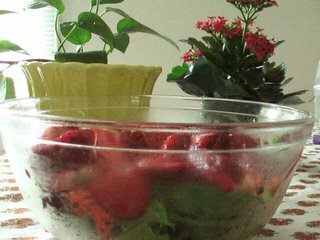 So for a dinner with my friend Michelle that evening, I decided to make a light, crispy salad with fresh strawberries, my contribution to JFI - for strawberries! 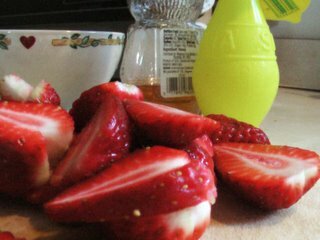 Cut the strawberries and marinate it in lemon juice and honey while you build the rest of the salad. Tear Spring mix and Baby Spinach in bite size pieces and put it in a chilled bowl. Grate the cucumber and carrots and keep it in seperate bowls. I like to build my salad in layers with different textures and colors. Put the greens, then grated carrots, grated cucumber then top it off with grape tomatoes and marinated strawberries. Put the dressing and pistachios right before eating and toss so everything tastes fresh and crisp.